Welcome to the 560th Edition of my series. As Facebook friends might already know, I have joined in on the POKEMON GO craze. I have enjoyed it, my main motivation is that I am going out walking and getting some exercise. I am as of now on level 7 but I won't go any further for now. Let me get on with my selections for the week. Spotlight (2015): This is part two of my Rachel McAdams trilogy which is quite a jump from her feature last week of MEAN GIRLS. Tom McCarthy directed and co-wrote this biographical film. 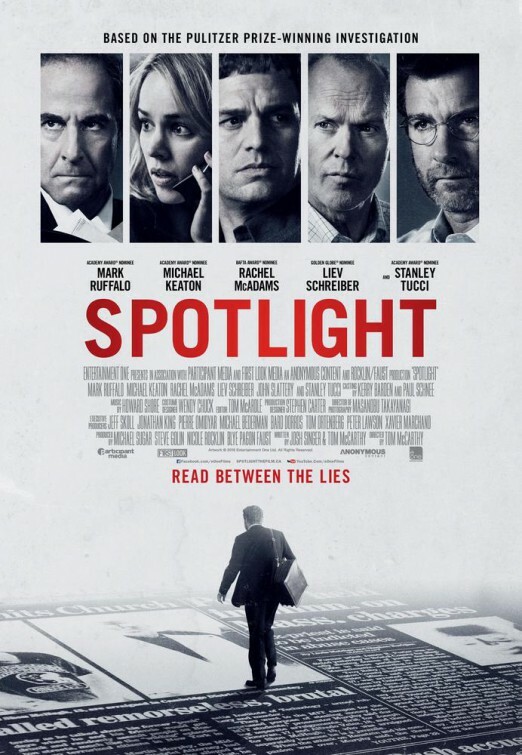 This is based around the Boston Globe and their "spotlight" team which looks to uncover a scandal of child molestation and cover-up in the Catholic world. Mark Ruffalo co-stars as Mike who is the one that keeps the team going to uncover some very difficult truth and is the standout in my opinion among the all-star cast. 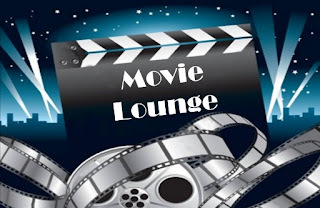 McAdams, Michael Keaton, Liev Schreiber, John Slattery, Brian D'Arcy James, Stanley Tucci, Jamey Sheridan, Billy Crudup, Len Cariou, and many others co-star in this film. 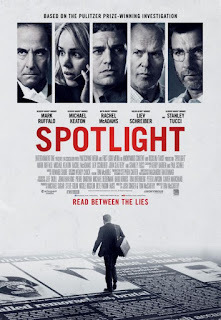 There is not a lot more to say on this movie except that it is a really good look at the efforts, struggle, and dedication of a paper trying to uncover a very serious scandal. They worked closely with the Boston Globe and the reporters actually portrayed to make it as authentic as possible to the point that Ruffalo and Keaton were with the people they portrayed a lot. I believe this is a very important watch and is available on Instant Netflix. 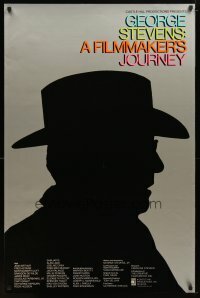 George Stevens: A Filmmaker's Journey (1984): This is one of my two documentaries for the week, maybe two and a half, just keep going to see what I am referring to. This is a documentary on the legendary director George Stevens when was directed and produced by his own son George Stevens Jr. Stevens brought us such films as GIANT, SHANE, A PLACE IN THE SUN, THE DIARY OF ANNE FRANK, and many others. A PLACE IN THE SUN has went on to become one of my favorites from the era and GIANT is my favorite of the limited James Dean films. This goes into some of his childhood, his rise in the film industry, and his time in WWII. There are a lot of interviews with his peers to give insight of the man that include Katherine Hepburn, Fred Astaire, Joel McCrea, Warren Beatty, John Huston, Joseph Mankiewicz, and many others. This was made just a little over a decade after the death of Stevens. George Stevens Jr. has had a pretty successful career in his own right in the way of producing and did a very good job on this rather unknown documentary. 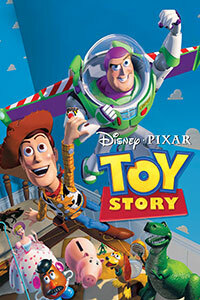 Toy Story (1995): This is my animated film for the week from Disney Pixar. John Lasseter directed and co-wrote this film about the world of toys which come to life until an actual human being comes around. Tom Hanks stars as a cowboy doll named Woody who is kind of the leader among the toys in Andy's, voiced by John Morris, room and his favorite. He becomes jealous when on Andy's birthday, he gets a Buzz Lightyear, voiced by Tim Allen, action figure. His jealousy leads him to pushing Buzz out the window then both of them getting lost and must set out to get back to Andy before the family moves. To get back their, they must get through the much meaner kid in Sid, voiced by Erik von Detten, to get back to Andy. Don Rickles, Jim Varney, Wallace Shawn, John Ratzenberger, Annie Potts, Laurie Metcalf, R. Lee Ermey, and many others lend their voices to this film. This was the start to a great franchise that has a feature trilogy, among many short films, as well as a part four coming out soon. I also learned that Joss Whedon was among the writers and apparently came up with the character of Rex the Dinosaur, voiced by Shawn. It also has a really good soundtrack from Randy Newman who has toned it down a lot from his days of SHORT PEOPLE and REDNECKS. 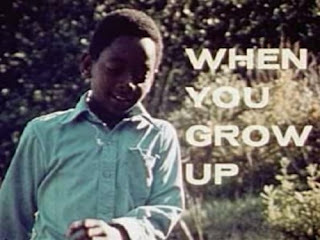 When You Grow Up (1973): This is my short film for the week. This is a short which was meant to prepare kids for the outside world of work and the skill set for the various jobs out there that are needed. In some kinds, this might have struck some fear like in the deadpan narration. Still an interesting watch that is more propaganda than anything. Birthright (1939): TCM was doing a tribute to the black cinema from this era and decided to use this one. Oscar Micheaux directed this film which stars Carman Newsome as Peter Siner who is a black man and has graduated Harvard. He returns to his hometown in hopes of starting a school to help others but is met with opposition from both races. This is a bit dated but still a good watch, especially for historic purposes and to see blacks portrayed as more than servants. Micheaux is regarded as the first black filmmaker. 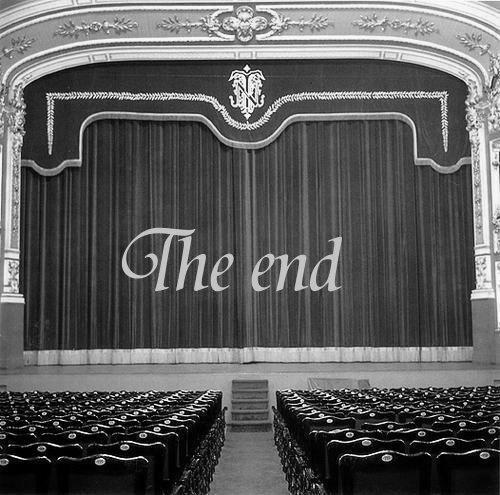 This is a remake to a 1924 silent film which is now fully lost from my understanding. This is part of a boxed set from Kino video called "Pioneers of African-American Cinema" which has both feature and short films that were made in this early era of film. 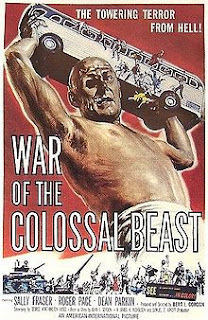 War of the Colossal Beast (1958): I actually used an episode of MYSTERY SCIENCE THEATER 3000 to watch this movie. I guess this is a sequel to COLOSSAL MAN and no I have not seen that one. The title character is Glenn Manning who is thought to be dead but recent events lead people to doubt that and soon he is wreaking havoc all over town. I guess I gave a spoiler on this. The fact that MST3K featured this movie should tell you quite a bit. Mostly of worth to watch the episode or gather a group of friends to do your own riffing. The American Dream: The Dusty Rhodes Story (2006): This is my WWE documentary for the week that features that legendary Dusty Rhodes, one of the most unique personalities of all time. This documentary goes into some of his childhood in Texas, his brief football career, his rise into wrestling, his family life, among other things. This was made a few years before his tragic death in 2015 and has interviews with Arn Anderson, his son Dustin Rhodes aka Golddust, John Cena, Ted Dibiase, Ric Flair, Mike Graham, Bobby Heenan, William Regal, Michael Hayes, and many others. This is probably only going to be enjoyed by people in wrestling for the most part. I enjoyed learning more about Rhodes and the reflections of his WWF stint in the '90s where he wore the polka dots and others feeling that just not the Dusty Rhodes they grew up with but that was my first exposure as a kid to Rhodes was the man in polka dots and his manager Sapphire. This is a very enjoyable documentary for wrestling fans and one the younger fans should check out for a man who inspired many in the world of wrestling. This is available on WWE network. 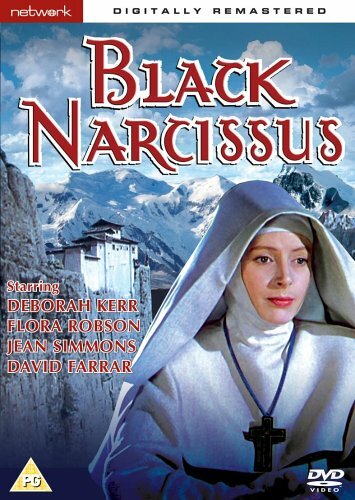 Black Narcissus (1947): Michael Powell and Emeric Pressburger co-directed this film based on the novel by Rumer Godden. Deborah Kerr stars as Sister Clodagh who is assigned as Sister Superior at the St. Faith Convent which is a remote location in the Himalayas mountains. This is run by Mr. Dean, played by David Farrar, and Clodagh becomes drawn in by her but also attracts the attention of the mentally unstable Sister Ruth, played by Kathleen Byron, who becomes very jealous of Clodagh. Sabu also co-stars as the heir to the through in a princely state and comes to the convent for his education and becomes attracted to the dancing girl Kanchi, played Jean Simmons. 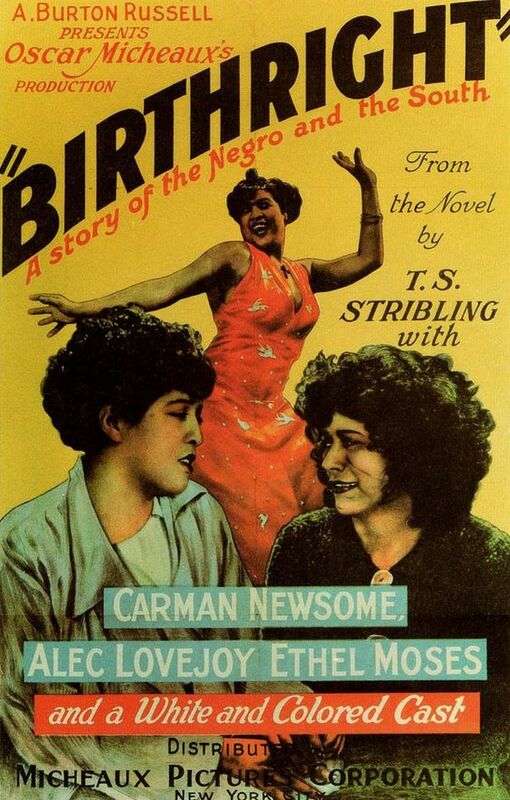 Flora Robson, Esmond Knight, and many others co-star in this film. This is a rather dark film taking place at a remote convent. Much of the set in the Himalayas was created by the studio and did a very good job of making it look quite real. It is a very intriguing story on lust and faith against the backdrop of a remote location and a very controversial film in its era. It is not one to watch if you just want inspiration. It does have good performances and scenery. 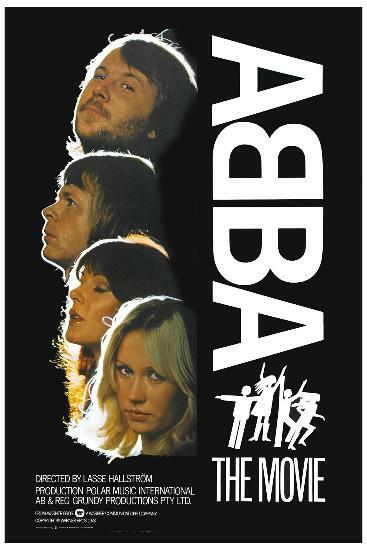 Abba: The Movie (1977): This is what I was referring to when I said "two and a half documentaries". Long before the musical MOMMA MIA which uses their music, we had this I guess concert film. This takes place during the Swedish pop group Abba's tour in 1977. Much of the footage is from their concerts and even music videos some of the time. Robert Hughes stars in a more fictional subplot as a disc jockey named Ashley who is struggling to get an interview with Abba in which he has promised to get his boss. There is a little bit of backstage footage of Abba but mostly for them is their music footage. This is mostly of interest to see the band Abba, not really my favorite but had some rather decent music in my opinion like DANCING QUEEN which was their biggest hit but had a lot of others. The Disc Jockey story was rather entertaining as well in his struggle to get that interview but always missing them somehow each time. Do the Right Thing (1989): As I get to my last selection for the week, I realize I focused a lot on religion and race with this one being another on race. 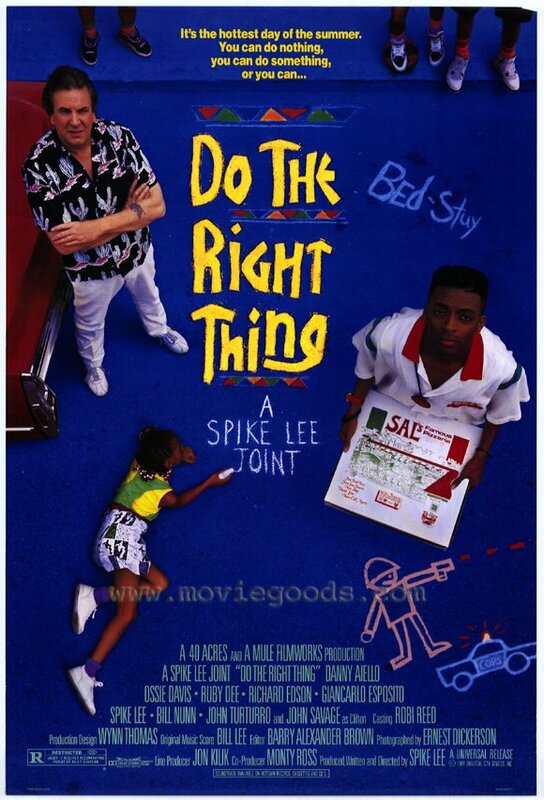 Spike Lee wrote and directed this iconic film and even co-stars as Mookie who is the delivery boy for the local Brooklyn pizza joint Sal's. Danny Aiello, in possibly his best performance, stars as the long-time owner of Sal's Pizza and runs it with his sons Pino, played by John Turturro, and Vito, played by Richard Edson. The movie revolves around the pizza joint which is now a more black and Hispanic neighborhood where racial tensions hit a big high. I do feel this shows how the racial tensions work both ways and kind of resembles what we see now which is very unfortunate. The tensions lead to a rather violent climax. Ossie Davis, Ruby Dee, Giancarlo Esposito, Bill Nunn, Frankie Faison, Miguel Sandoval, John Savage, Rosie Perez, Roger Guenvere Smith, Martin Lawrence, Frank Vincent, Samuel L. Jackson, and many others co-star in this film. The soundtrack of rap group Public Enemy, mainly the song FIGHT THE POWER, also drive the film. This is possibly Lee's best work where he really does not take sides with any race and shows that the racial struggle is from each side. This has a lot of very memorable characters and still has some sense of humor at times. I believe a good double feature could be to watch this and then watch AMERICAN HISTORY X. 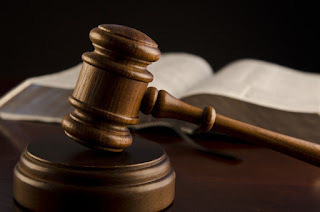 Well, that is it for the week but continue to read for my new segment "The Judge's Corner". Tell me what you like and dislike and stay tuned for next week which so far includes Eva Mendes, Humphrey Bogart, Rachel McAdams, and many others. John Carpenter vs. Luc Besson: Last year, John Carpenter won a plagiarism lawsuit against Luc Besson saying that Besson's 2012 screenplay LOCKOUT plagiarized Carpenter's 1981 movie ESCAPE FROM NEW YORK. Just recently, in an appeals court, the judge ruled that Besson must pay even more than originally ruled. This is not about how good the movies are or which one is better. When looking into this, it made me wonder if it was necessary. I mean, an original idea is very difficult to have in the world of film. One thing I thought about was romantic comedies and how they have a rather standard formula. Also, I thought of Kevin Costner's DANCES WITH WOLVES and if he could successfully sue Edward Zwick for his movie THE LAST SAMURAI or James Cameron for his movie AVATAR. All of these have the similar premise of the bitter American soldier joining the other side. Almost everyone has an inspiration of some sort so where do we draw the line when it comes to plagiarism? I had seen ESCAPE FROM NEW YORK but had not heard of LOCKOUT until I heard about this case. 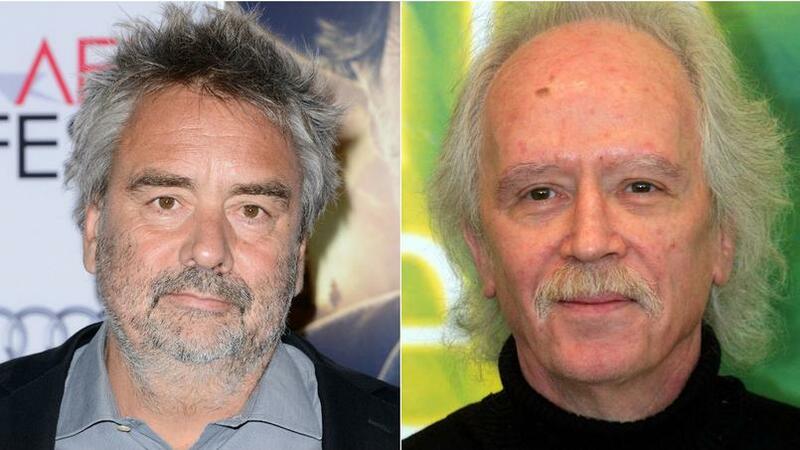 Both of these people have some of my favorites like Carpenter's ASSAULT ON PRECINCT 13 and Besson's LEON: THE PROFESSIONAL. I decided to rewatch ESCAPE FROM NEW YORK and then follow it with LOCKOUT so that I could decided for myself my thoughts on this lawsuit. In ESCAPE FROM NEW YORK, convict Snake Plissken is serving a life sentence for robbery and is enlisted to rescue the kidnapped president being promised a full pardon if he is successful. ESCAPE was another futuristic film where ex-CIA operative Snow is a convict for a crime he did not commit and is enlisted to rescue the president's idealistic daughter from a space prison where she is being held hostage. Okay, so they had a rather similar premise, convicts being sent on a rescue mission for the possibility of a full pardon if successful. Also, their antihero antagonists both liked to smoke cigarettes. Other than those things, I really didn't seen any reason LOCKOUT should have been referred to as plagiarism. I felt both movies went in a rather different direction. Even Carpenter cites the book PLANET OF THE DAMNED by Harry Harrison as an inspiration and I guess it was okay that Carpenter's sequel ESCAPE FROM L.A. was mostly a rehash of the original. I suppose another question that could come to mind is the possibility of them doing a publicity stunt so that someone like me is provoked to watch both movies and do a write-up like what I'm doing but I do not believe that is the case. I feel this is no different than the Costner/Zwick/Cameron theory I was talking about where a similar premise was used and concerns me on how far a filmmaker can go if they feel copied from. I would also like to thing that if I am a successful filmmaker, that I would not sue some of if they might have ripped off something I did. If anyone has any insight, please leave comment. 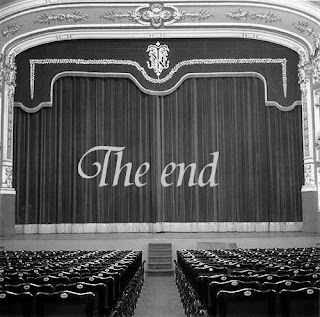 Please do not use your feelings toward the two movies to form your opinion. Also, if anyone in the film industry has insight, please share.